Sunsets are precious when the day has been one you want to remember. They mark the ‘curtain closed’ on the events that have gone before and they draw the day into the night. Sunsets are seen by some as sad moments but the melancholy is only there when they are seen as an ending. I love sunsets as they are a chance to breathe in, thank the day for its blessings and then get ready for a new start the next morning. Nature has its bookends too, and of course after every sunset will be a sunrise and after every ending the chance of a new beginning. 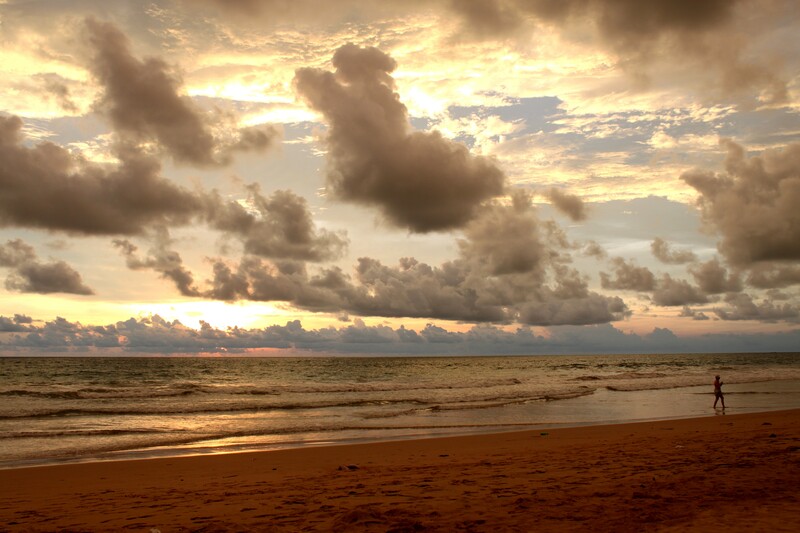 These photographs were all taken on the same stretch of beach in Sri Lanka and every day the colours changed and the characters walking/playing/romancing on the beach altered. I was staying at a hotel next to this beach with my husband and every night I went outside and shot the scene as I saw it. The natural world is amazing and can offer a new skyscape every day without any need for us to even change location. Sunsets are sometimes soft and blanket the day with warmth. Not every sunset is golden! 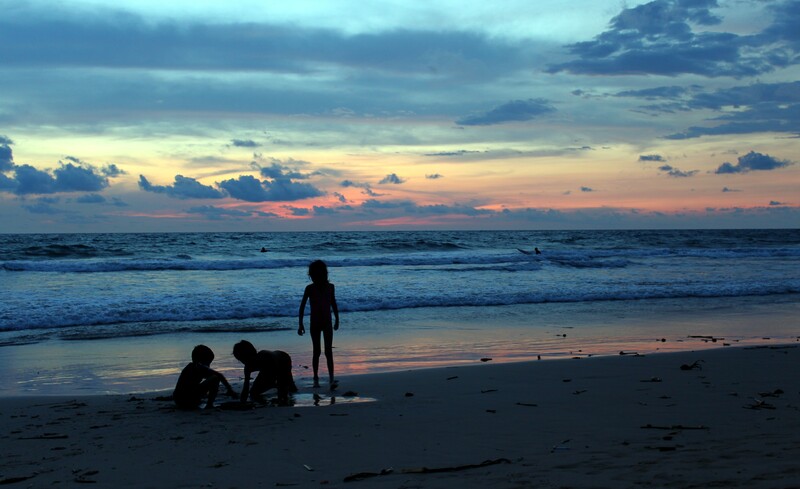 Three children share a blue sunset; a bruised looking sky washes over the Indian Ocean. I cannot condone throwing litter in the sea but nevertheless I loved the dramatic sky that swept the shore. 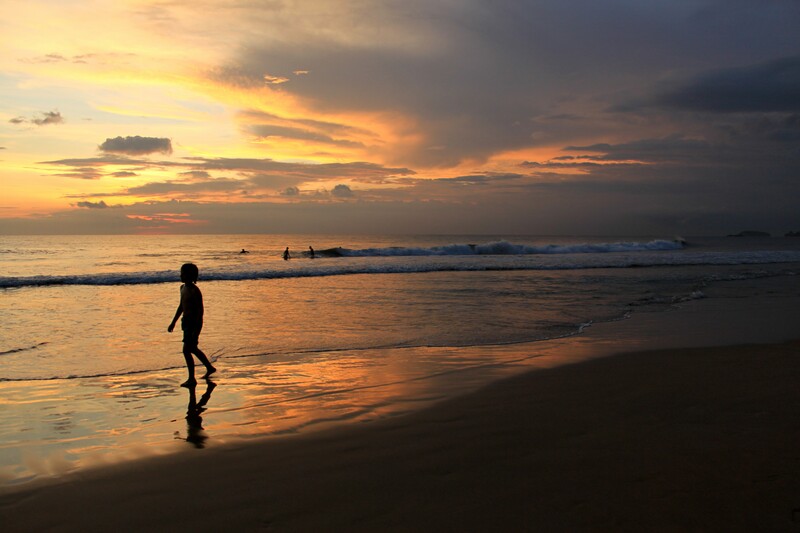 A lone runner enjoys the sunset and the cool sea breeze. 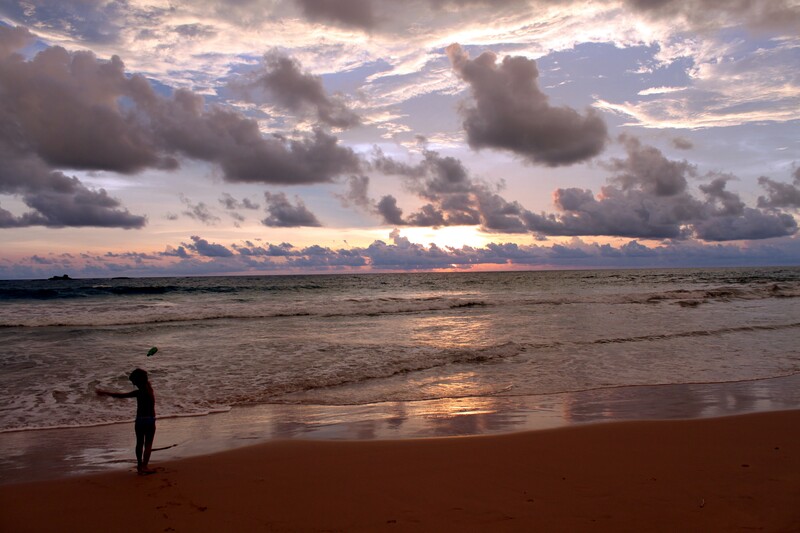 My favourite sunset colours in Sri Lanka were the moody purples just as the sun reached its lowest point in the sky. 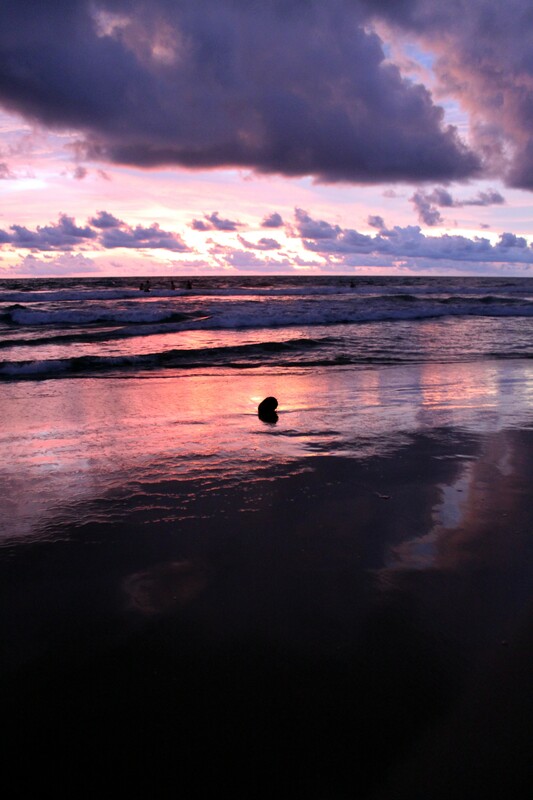 Ten minutes later I was left stood on the beach in the dark holding my husband’s hand. This little collection of sunset images is a contribution to the Wild Weekly Photo Challenge and I encourage you all to get over there and take part as well. There can never be too many sunsets! Thanks Nick, probably will not be able to do this weeks (India atm) but will be back! It is a great weekly challenge and nice to see the mix of pros and hobby photographers. oh my god Laura these are exceptionally beautiful photos. My congratulations! What lovely comments thanks, away from computer today but will stop by your blog later in the week for sure!